A 911 dispatcher who may have failed to provide crucial information to officers responding to the frantic calls of a trapped Ohio teen has been placed on administrative leave. 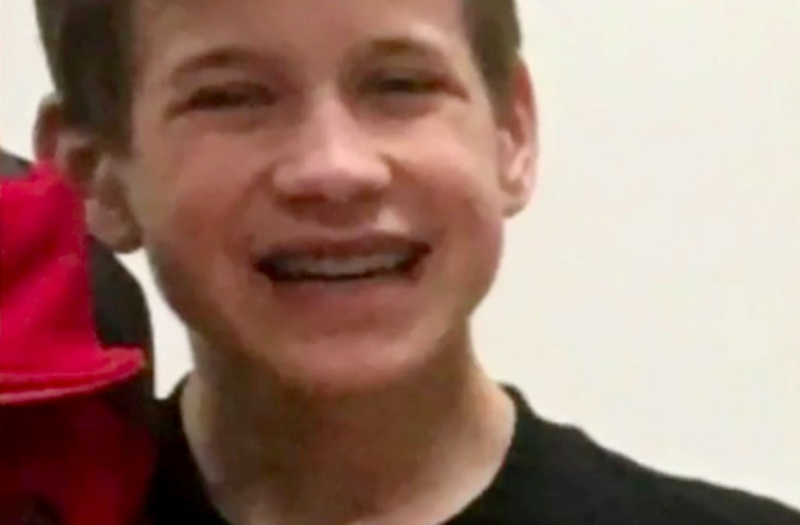 Kyle Plush, 16, was stuck inside his 2004 Honda Odyssey in a parking lot near Seven Hills School for hours before he was found dead on Tuesday night, according to the Cincinnati Enquirer. Plush was reportedly attempting to retrieve tennis equipment from the back seat of his minivan when a row of seats flipped up and over, pinning him upside down beneath them. The dying sophomore student used his phone's voice recognition technology to call 911 twice during the horrifying ordeal since he was unable to use his hands. "This is not a joke," he told an operator. "I am trapped inside a gold Honda Odyssey van in the parking lot of Seven Hills ... Send officers immediately. I'm almost dead. "I probably don’t have much time left, so tell my mom that I love her if I die." The crucial information Plush relayed to a dispatcher during his second 911 call, which included his car's exact model and color, was never relayed to the officers searching for the teen at Seven Hills School, Cincinnati Police Chief Eliot Isaac said during a press conference. The dispatcher in question, identified by Isaac as Amber Smith, had been placed on administrative leave amid the department's investigation into the incident. "On that second 911 call something has gone terribly wrong," Isaac said. "This young man was crying out for help. We weren’t able to get that information to the officers on the scene. We need to find out why." Isaac said that he believes the error can be attributed to either faulty equipment or human error. Either way, he recognized that the teen's death was "a horrific tragedy." "We share in the heartbreak around this," he added. Plush's father found his son's body inside the specified van at 9 p.m. on Tuesday night in a parking lot "adjacent to the Hillsdale campus," according to WLWT. The teen's death has been ruled accidental from asphyxia due to chest compression. No foul play is suspected. Plush was remembered by his former school's principal as "creative, vibrant, and kind" following news of his passing. "Kyle's gentle spirit made it a joy for others to be around him," Patty Normille told WCPO.